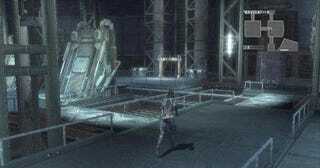 Some Lost Odyssey DLC was released in Japan last month. For 400 MS Points, they got a new dungeon with one new boss and one new item. Nothing to really set your goodness gracious great balls on fire, then, but it's better than nothing. Good for them. So when do we get it? Yeah, the headline gave it away. It'll be available this Friday, May 23. Same stuff, same price.